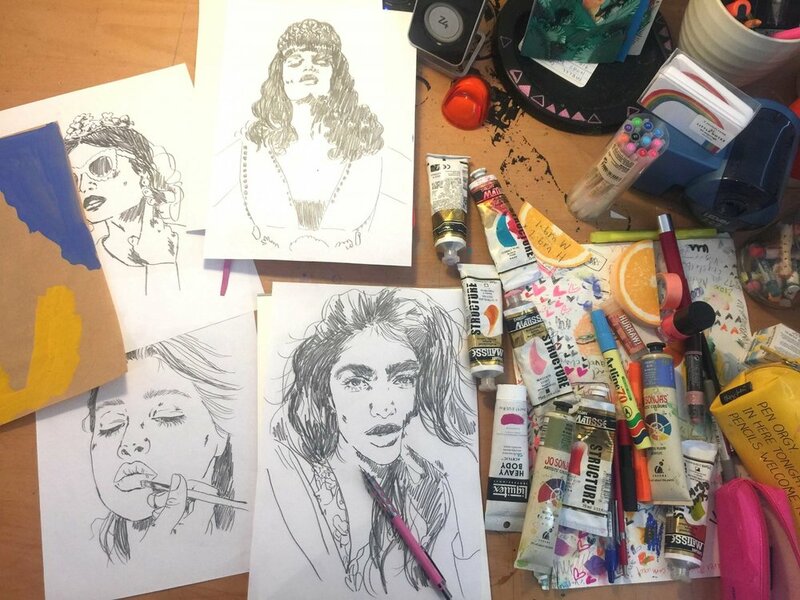 Rebecca Wetzler is a Fashion Illustrator and Mural Artist, her work has been published in magazines such as Vogue Australia, Oyster, Nylon, IdN and Deanne Cheuk’s illustration project Neomu. Wetzler's other clients include Saatchi & Saatchi, GPY&R, Droga5, MTV, The Dubai Arabian Horse Championships, Renault, The Movie Channel (NY), Santa Vittoria, Vittoria Coffee, Cartell Music - So Frenchy So Chic, Myer Spring Racing Carnival, Arj Barker, Mambo, Undiz, Mimco, Marnie Skillings, Bloom Cosmetics, Loreal Melbourne Fashion Festival / Alannah Hill, Lisa Ho, Saba, Frankie, Yen, STM magazine, and Nylon. She has recently completed a 10m mural in Sydney, among other large scale murals around Australia. Was awarded a distinction for illustration in 2008 by A.G.D.A for her work in “Beauty in Bloom”. Wetzler also won a PromaxBDA gold award in 2007 for her illustrations which were used in re-branding The Movie Channel with Ink Project in North America and was the Frankie Blue Biro competition winner in 2006. Other publications include “Great big book of Fashion Illustration” ,“Beauty in Bloom”, “The age of feminine drawing”, “Victionary” and “Pretty, Nylon magazines guide to beauty”.